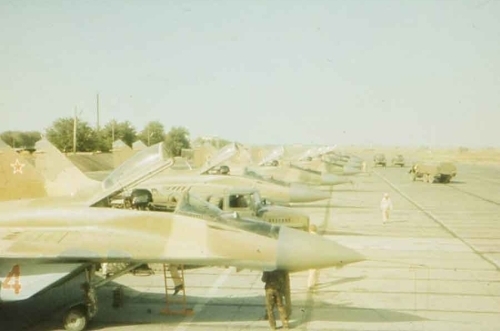 Kokayty's camouflage MiG-29s in full color. 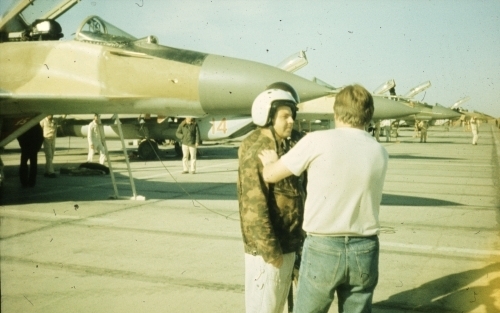 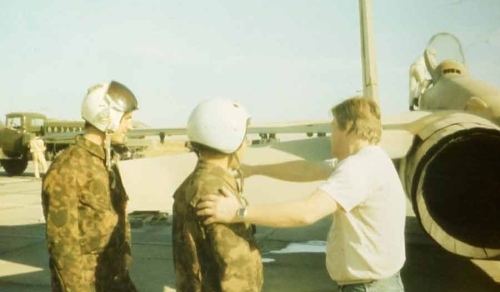 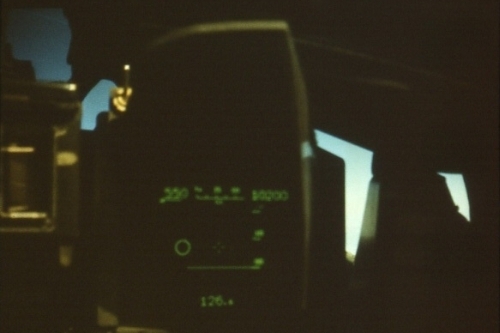 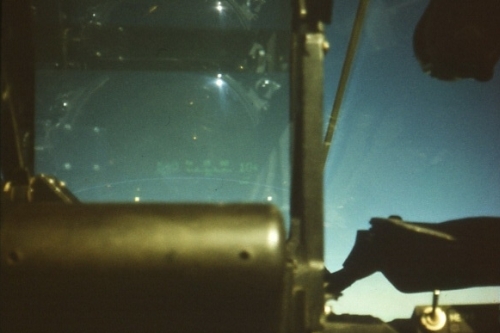 In 1988 the 115th Guard Tactical Fighter Air Regiment's first and second squadron's pilots traveled to Lipetsk for forty five days. 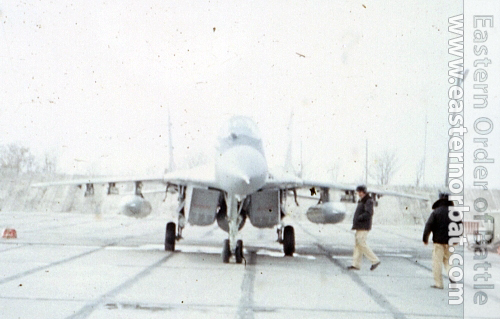 Here at the 4th Center for Combat Employment and Retraining of Personnel unit they received basic training for the MiG-29 Fulcrum type. 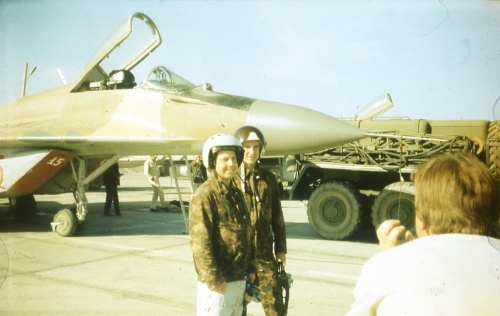 The new tactical fighters flew with external tanks from the factory Kokayty. 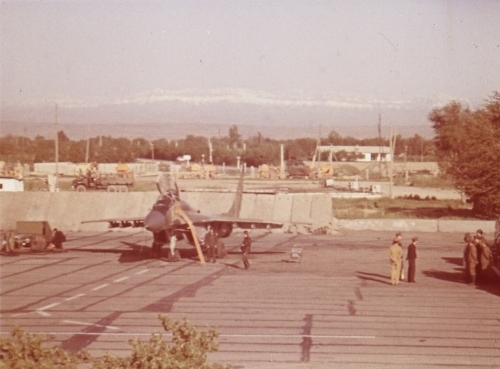 The first MiG-29 Fulcrum take off in July 3rd 1989 at Kokayty. 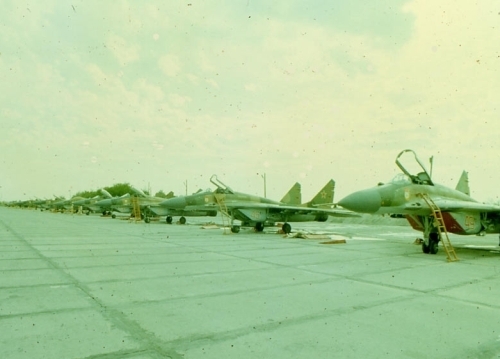 The old MiG-21's Fishbed were used for twenty two years from 1968 till 1990. 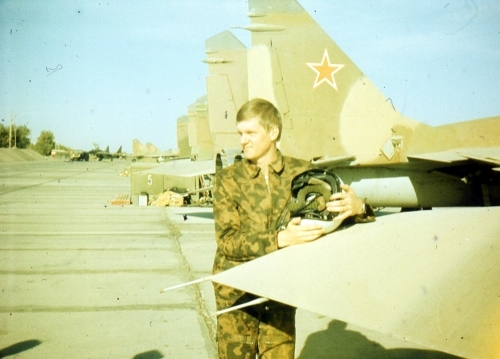 The MiG-21bis Fishbed-L flew in the war in Afghanistan for ten years. 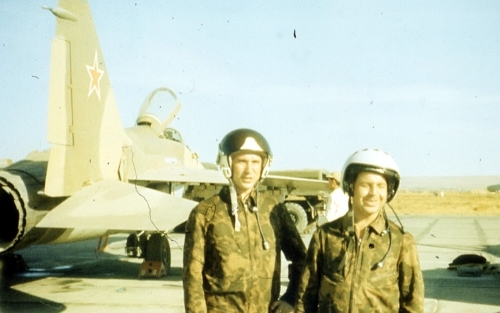 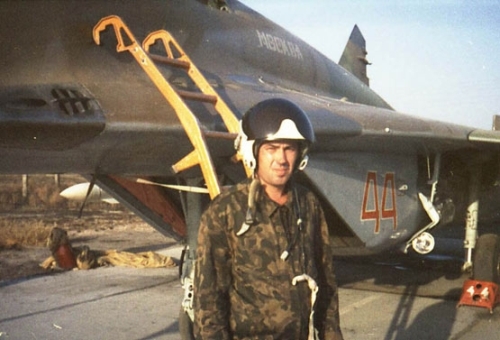 As the last active Soviet tactical fighter air regiment they flew with the MiG-21 Fishbed type until January 1990. 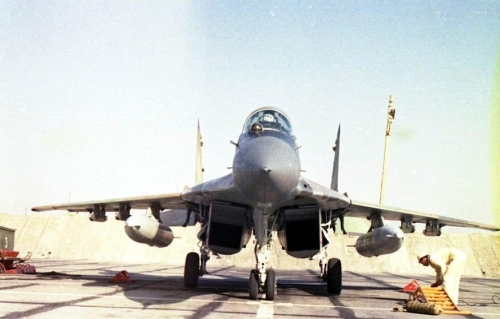 Replacing the old delta wing they received 33 pcs of camouflage MiG-29 9.13 Fulcrum-A and MiG-29UB Fulcrum-B. 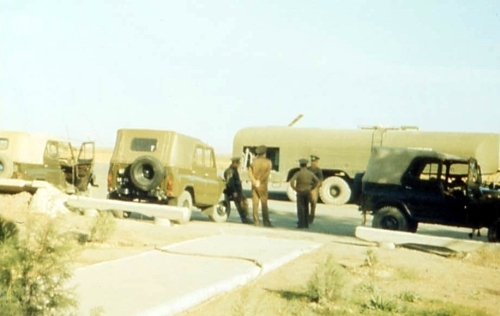 The three-tone camouflage was new at that time. 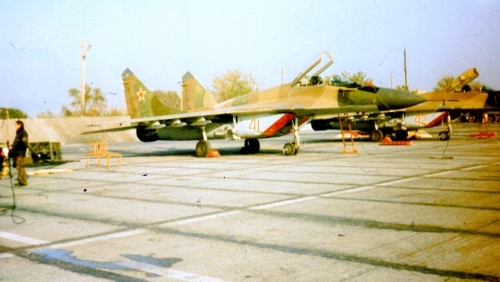 In the Soviet Union only the 115th Fighter Air Regiment and the Odessa Military District’s 642nd Guard Fighter Bomber Air Regiment used this camouflage. 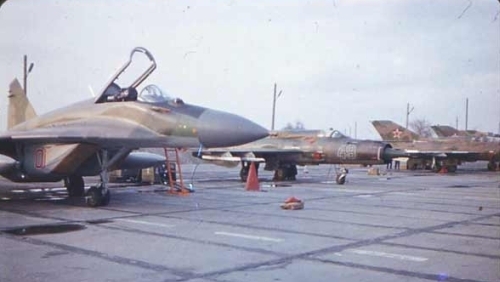 Czechoslovakia and East Germany received similar camouflage MiG-29s. 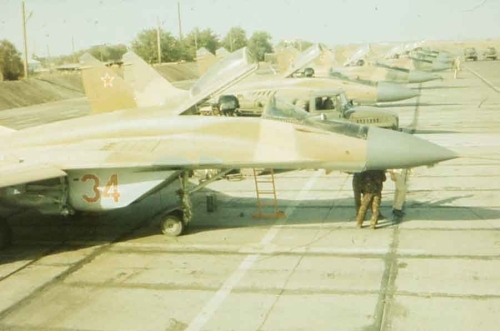 The 115th Guard Tactical Fighter Air Regiment's MiG-29s and Kokayty airport became the property of the independent Uzbekistan in 1993. 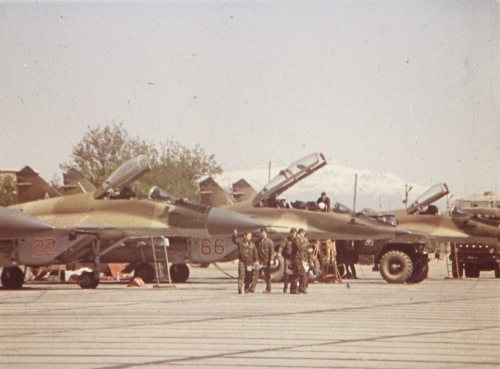 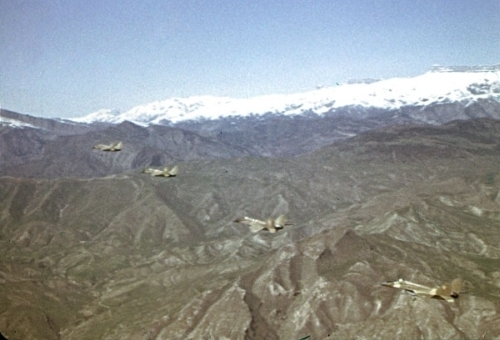 The unit was reorganized to become the 61st Fighter Air Brigade. 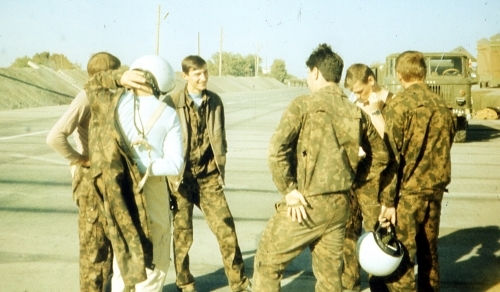 Most of the airport's and the regiment's staff returned to Russia.